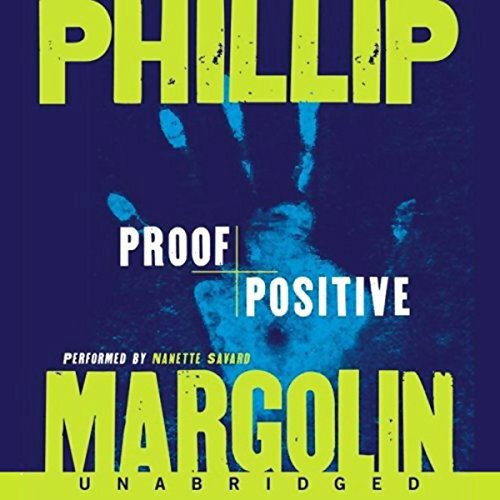 Amanda Jaffe, star of Margolin's biggest best seller yet, Wild Justice, returns with a story of how the evidence that we think is the most reliable could be meting out a different type of "justice" than the public suspects. Doug Weaver is a defense attorney who believes the best of his clients, until he's confronted with seemingly unshakable evidence that a man he's thought innocent must be guilty. Bernard Cashman is a forensic expert at the Oregon State Crime Lab with his own ideas about what's right and wrong, and his own plans and methods for carrying out what he thinks is a fair sentence. When Doug, Amanda, and Cashman's goals collide, danger and death ensue, and each must decided for them self how much they're willing to risk to expose their version of the truth. For some strange reason, in a book in which most of the voices are male, the producer chose a woman to perform. She is constantly reading in a hoarse voice in an attempt to sound "male." This makes listening most unbearable. Then, of course there is the ridiculous plot. A sad sack attorney who convinces his client to plead guilty in a death penalty case...WITHOUT A SENTENCE AGREEMENT! I don't think so. It goes down hill from there. Drug dealers killing themselves, who cares! A forensic tech who is falisfying evidence, gee wonder where that came from...since it was all over the news a year ago. But of course Margolin's tech commits an unbelivably horrid murder when discovered. This is just a bad book on all levels, do yourself a favor and skip it. I read this book back in 2006 (9 years ago) but since I didn’t remember anything about it, it was like a free book! I rated it 2 stars back then, but this time I would give it 3. Part legal drama & part CSI thriller, it was suspenseful and intriguing – not really a whodunit, more like a howwillhegetcaught. This is Book 4 in a series and I am curious about other books, I went back to the start and added book 1 (Wild Justice) to my wishlist… I’m hoping it will be a good legal thriller. We’ll see! I generally think of Margolin as better on action that character development. Here he brings back an old character which is good for a writer who does not emphasize this aspect as you already feel you know them a little. He then goes on to add some of interesting characters. Still, there are some believability flaws and the action is what keeps you reading.